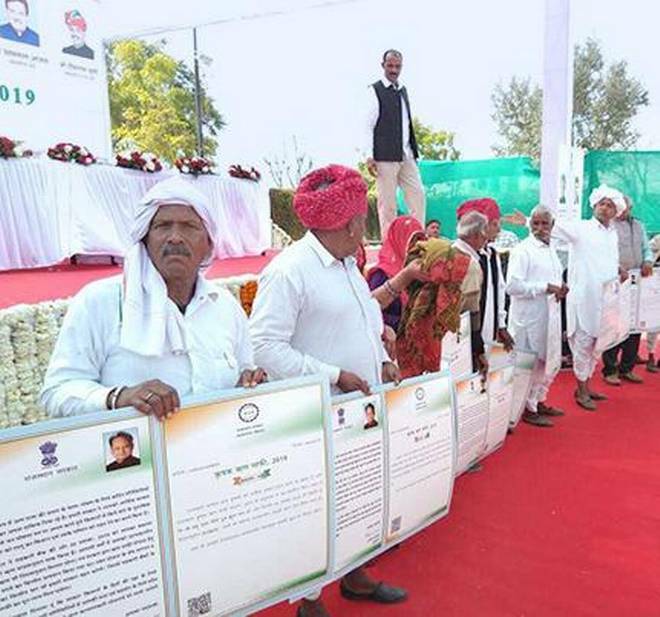 The farm loan waiver, announced by the Congress government in Rajasthan , was rolled out through special camps organised in all the 33 districts of the State. About 40,000 farmers are set to benefit in the first phase, which will cover the loans obtained from the cooperative banks. The entire short-term loans taken by small and medium farmers from cooperative and land developement banks and the debts up to 2 lakh due on November 30, 2018, for the defaulter farmers will be waived in the scheme’s first phase. The lists of eligible farmers had been displayed at the notice boards of village cooperative societies. The grievance committees had been formed in the villages to deal with the instances of non-inclusion of farmers or wrong calculation of the amount of loans. As many as 66 loan waiver camps — two in each district — would be organised in the village cooperative societies across the State.